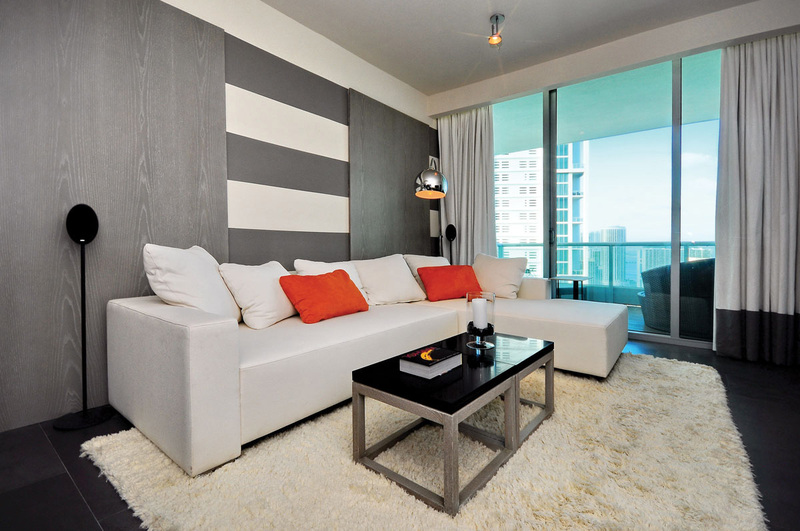 900 Biscayne Bay is ushering in a new way of living in Downtown Miami with its unique residential concept along Miami’s vibrant arts district on Biscayne Boulevard. 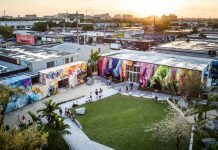 These are exciting times for Miami as the city blossoms from a center of commerce to a round-the-clock urban destination where people live, work and play. Gone are the days when activity slowed after-hours as people left downtown to commute across the highways to their respective suburbs. Terra’s $364 million project on 1.72 acres fronting Biscayne Boulevard between Northeast 9th and 10th streets features 509 residences and townhomes soaring above ground-floor retail, galleries and restaurants plus 80,000 square feet of condo offices. “This is an unusual feature in the central business area,” says Martin who notes that until now, the only way to own an office in downtown was to own the whole building. 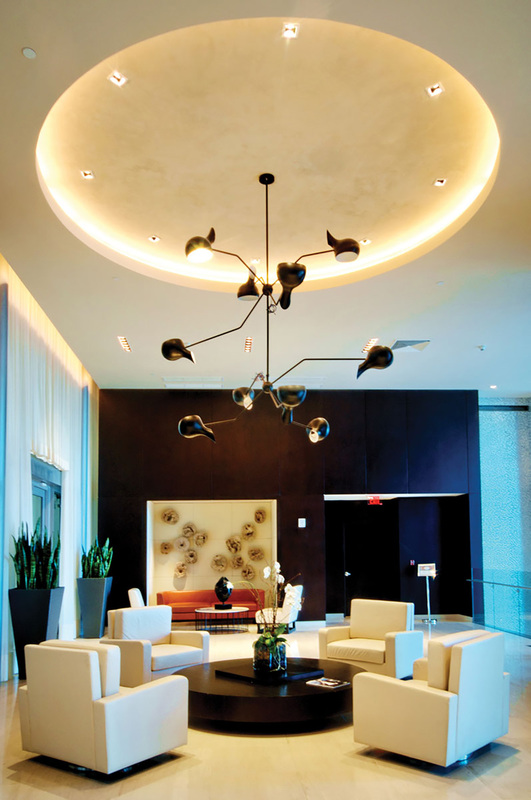 Within 900 Biscayne Bay, residents can enjoy high-rise cosmopolitan living pampered by resort-style amenities, together with the advantage of conducting business in offices in the same building. 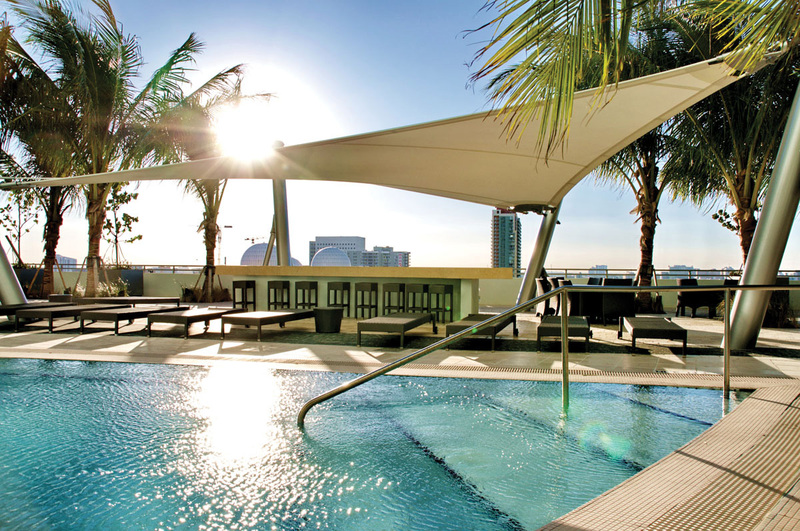 The building is located in an area coveted for its convenience just minutes from the Brickell business district, Coconut Grove, Miami’s Design District and a buzzing new entertainment district, alive with late-night lounges, clubs and celebrity sightings. 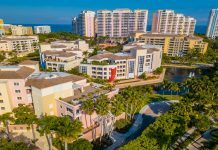 Nearby, Bayside Marketplace brims with an intriguing mix of excitement, shops, outdoor performance areas and a marina. Additionally, the transformation of neighboring waterfront Bicentennial Park into Museum Park Miami will add grand facilities for the city’s art, science and historical institutions. Best of all is the prospect of a short stroll up the boulevard on warm moonlit Miami evenings to enjoy the bevy of world-class cultural offerings in the sparkling new Performing Arts Center or a basketball game or concert at American Airlines Arena. 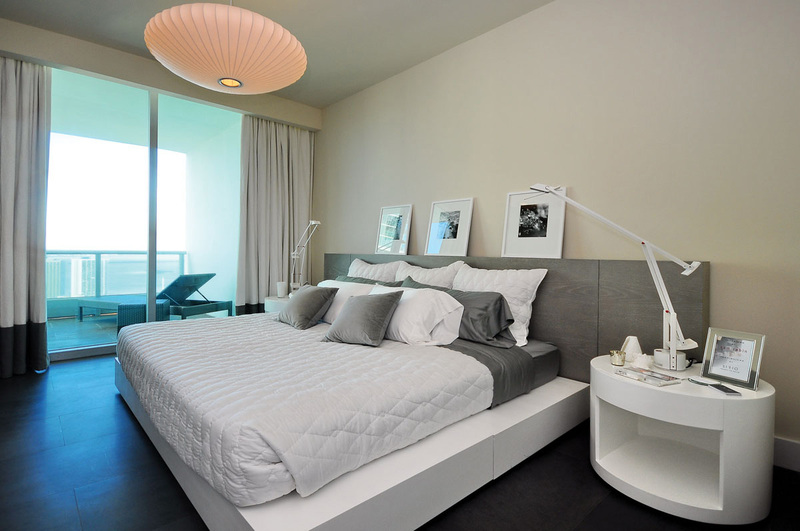 You will find some of the generously sized residences are accessed by private elevators. Amenities include two pool areas, a bar, Jacuzzi, steam sauna, massage rooms and a bright and airy fitness center featuring luxurious relaxation amenities, men’s and women’s locker rooms, a sauna, showers, advanced cardio and exercise equipment with computerized systems allowing instant monitoring and tracking of performance and a yoga/aerobics area, all overlooking the pool terrace. 900 Biscayne Bay will also offer an impressive Residents’ Lounge with a library, conference room, billiards room, media center and 50-seat private screening room. State-of-the-art technology, including WiFi and touch-screen monitors throughout the development provide residents with information, convenience and security. When it comes to services, residents will feel like they are living in a grand hotel with concierge, valets and club attendants on hand to provide personalized attention. The soaring 40-foot-high City Lobby uses natural elements and palette to evoke nature in an environment of strong but cool energy. Sam Robin designed full height panels of gold leaf mosaic tiles from Italy that contrasts dramatically with the exotic dark brown wood panels in between. Furniture is classic yet modern with rich muted fabrics and materials offering an inviting vantage point for viewing both the interior and entrance from Biscayne Boulevard through the glass walls. 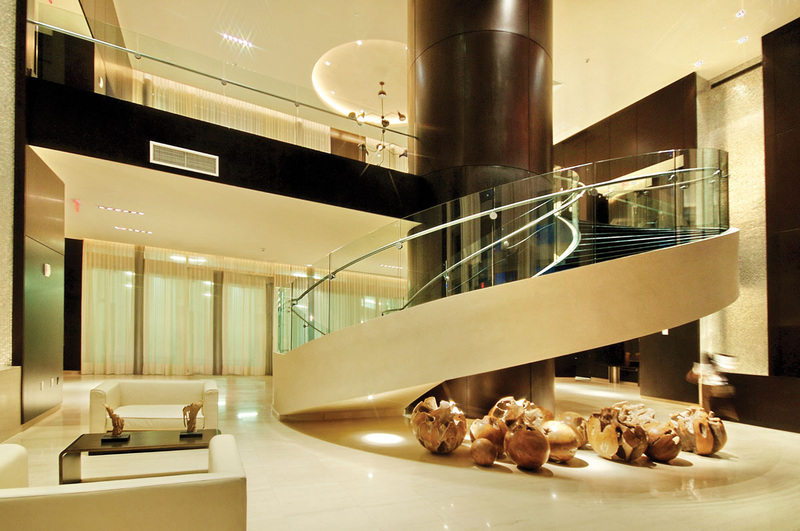 In the center of the lobby a sculptural glass staircase sweeps to the upper Sky Lobby where the beige stone floors offset the rich paneled walls. A circular seating group dominates the area forming an attractive focal point. 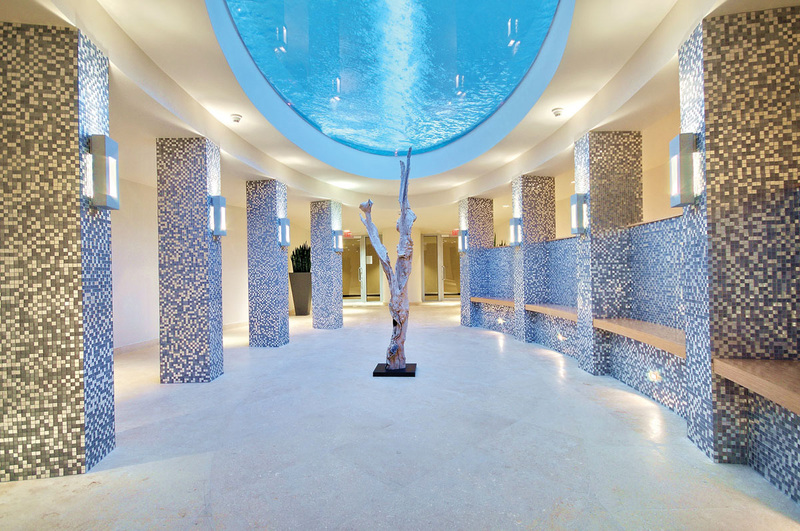 The waiting area is a background wall of glass and cascading water. Fueled with the desire to provide not only the finest in hi-rise living, but to emphasize originality and creativity in design, Terra Group has engaged the right mix of architects and building professionals to help capture the company’s creative vision of excellence with 900 Biscayne Bay, to the benefit of its residents. With residences available from one bedroom + den units of 1,000 sq. ft. through 3 bedroom + den penthouses of 3,793 sq. ft., prices range from $400,000 to $2 million. If you want to call 900 Biscayne Bay home, contact Monica Venegas, VP of International Sales for Cervera Real Estate, at 786.208.6100 or at MonicaVenegasL@AOL.com.